Revered reedman shifts his Hawk-shaped shadow and gets unshackled from spirit of the age. 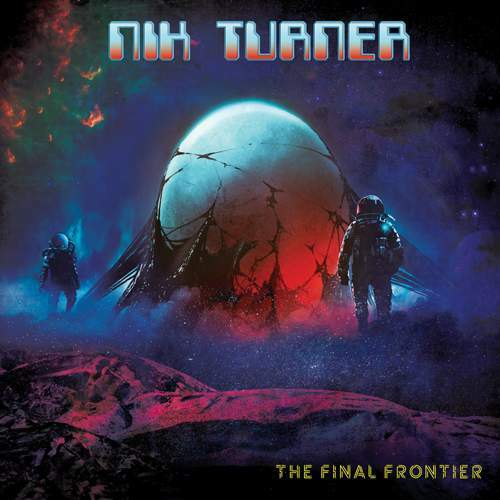 It’s been a five-decade-long journey for the man they call The Mighty Thunder Rider, yet don’t be tempted to deem this album his last and assume he’s reached the edge of time, for even the sky was never the limit for Nik Turner. Still, for all the veteran’s cosmos-themed meandering between prog and jazz on "Life In Space" and other latter-day works, he struggled to leave the HAWKWIND spiritual domain – or, quite possibly, it provided him with an easy way to engage the regular listener. Turns out there’s an alternative way – and here’s a proof. While Nik’s perennial colleagues Paul Rudolph and Simon House add their strings to either part of the record’s transparent title epic – a brooding number stricken by strategically placed strange noises – the context Turner’s creating on “The Final Frontier” feels liberated from his old ensemble’s deliberate roughness in favor of captivating anthems and ballads, opener “Out Of Control” signaling the newly found freedom with a funereal riff which sax, guitar and synthesizer take beyond event horizon where spectral voices and hypnotic improv reigns supreme without compromising the track’s soulful jive. More so, delicate, filigree textures of “Interstellar Aliens” reveal fresh sensuality to what, in the past, often seemed like a drift for the sake of a trip rather than emotional release, yet the tension the band slowly build in “Back To The Ship” is resolved in a fierce groove that helps wrap reeds in thick cloth Jürgen Engler and Nicky Garratt weave indefatigably, if not relentlessly. But aural assault and battery are far from the mind of the crew set on transfixing their audience with exotic sonics which carry “Calling The Egyptians” down warped path to a different drone and gives “Thunder Rider” a well-paced allure, though it’s not as tribal or triumphant as “Strange Loop” – a sort of space oratorio, light and welcoming as Nik’s pieces have rarely been before, the vocal presence illuminating the cut’s appeal even brighter. The same romanticism is infusing the flute-flaunting “PAD4” that’s down-to-earth and otherworldly at the same time. It’s Turner’s time now: at 78, the artist delivered his best album to date.